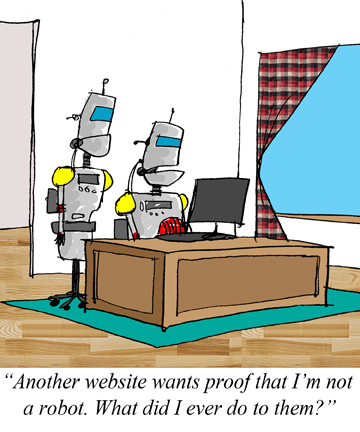 This cartoon was stolen from How to Geek. They do have some good ones. 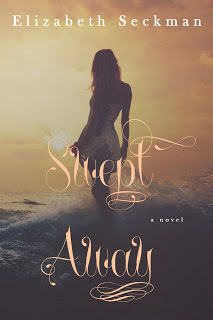 Monday I was delighted to receive a copy of Swept Away by Elizabeth Seckman. I helped Liz with editing and proofing and read her book several times - I have read and enjoyed all her books mind you. Despite having read it so many times, Liz sent me a final ecopy and I was disgusted that it kept me out of my bed til the wee small hours. Yes, it's that good and I had already read it so I knew what the end was. Opening the book I expected Liz to have written something and signed it. It was a delightful thank you note. Then I turned another page and there was a dedication to me as Jo Wake. The grandmother of dragons. I was thrilled to see that and emailed Liz straight away with my thanks. Never had a book actually dedicated to me before. It makes one feel pretty good. In case you are wondering, I am honorary grandmother to Father Dragon of Dragon on a Mission fame. So do read this book, I thoroughly recommend it. It is not just a straight girly romance - there are some rather nasty characters in it not least of which is the heroine's mother. Nothing romantic about her at all. Once again, thank you Liz both for the stories you write and the book you have sent me. Follow Liz at http://www.eseckman.blogspot.com. 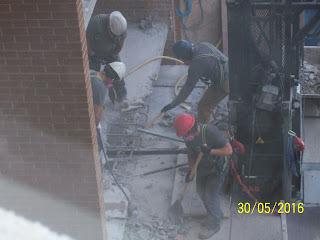 I guess I was wrong, they are not just replacing the walls of our balconies. Today they are drilling out the floors. These are two, somewhat dusty, pictures. I was pleased to see there are metal bars underneath, I always wondered what held the balconies in place. Now I know. They are drilling out the concrete. I am not sure how far back at the moment as they are standing on it and the one underneath is obscured by the platform. I was also told that once they have finished the wing they are on, opposite us, they will be going to the other side of it and not to us. I do hope that's wrong. Seems illogical to me anyway. But what do I know? I checked this out with someone who should know and that is what they are doing. We will not see them working on our wing until next year, at least. I had forgotten this recipe. Lobster is not that available to me so I have never tried it although lobster is one of my favourite foods. I'm sorry, but there is no other word for it, I am pissed off. 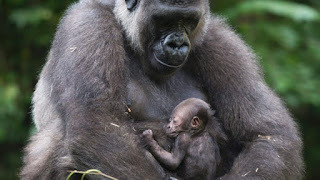 All because some stupid woman is unable to look after her child properly, a beautiful silverback gorilla gets shot. 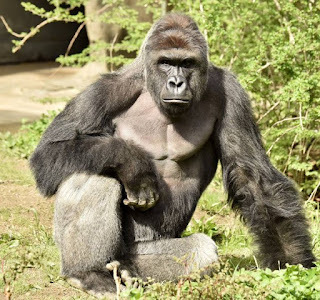 I don't know if you saw the report over the weekend, but at the Cincinatti zoo, a young child (4 yrs) crawled under a fence and tumbled into the gorilla compound. Not surprisingly the child got hurt because the big gorilla named Harambe, dragged him around the compound. I understand none of the child's injuries are very serious. The gorilla did not actually attack the child apparently. In fact he was touching the child very gently but it's thought all the onlookers screaming may have disturbed him. Also, the child started screaming too which may also have confused the gorilla. Needless to say, I am not the only person who is outraged and I gather the Twitter pages are full of the subject. Personally, I cannot imagine anyone allowing their 4 yr old child to be out of sight long enough to crawl under a fence. I heard the mother calling out to the child saying "Mommy's here" but where was mommy when it was happening? The zoo say that if they had tranquilized the animal it would not have happened quickly enough and the child could still have been hurt, whereas, shooting it prevented any further problems. Everyone said it was important to save the child's life even if the rare gorilla died. Harambe was a western lowland gorilla and their species is endangered. Zoos do what the can to help preserve endangered animals, they do not need this kind of thing which forces them to take such drastic action. Saturday night we usually have something special for supper, like a fillet steak which is what we had last Saturday. I also cooked snow peas and sautéed mushrooms. Matt had a baked potato too. When I sat down to eat, I just did not want to eat anything, very rare for me. I ate the mushrooms and some of the steak. Put the rest in a storage box in the fridge. Sunday night, we had some tomato soup and an open faced sandwich made with asparagus pesto spread on the bread and then thinly sliced fillet on top - I added a couple of pickles and for me some horseradish. We both thoroughly enjoyed it. Now I need to make some more pesto as I have none left in the freezer. I posted the recipe for it here a few days ago. I came across this from the New York Times recipes I get regularly. Looks pretty good. Trouble is, horror of horrors, I am out of asparagus now too. 3. 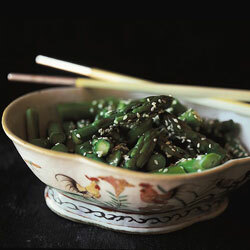 Transfer asparagus to a serving platter and drizzle with sesame oil. Sprinkle green onions over the top and garnish with cilantro sprigs. To make your own five-spice powder, combine ground Sichuan pepper, fennel, clove, star anise and cinnamon in equal parts. This looked so good I had to share it. 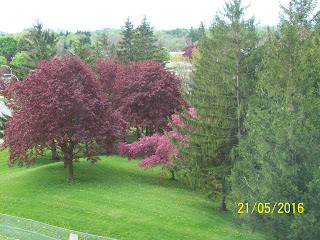 Besides, for those of you who aren't fanatics like I am, it makes a change from the green stuff. 1. Mix together butter, parsley, lemon juice and 1/4 teaspoon garlic powder. 2. Place butter mixture in plastic wrap and roll into a log shape. 4. Combine black pepper, white pepper, red pepper flakes, coriander, sugar, salt and garlic powder. 5. Rub spice mix into both sides of steaks. 7. 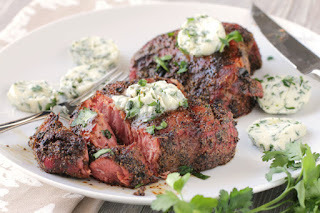 Place steaks on a hot grill and cook for 2 minutes. 8. Turn and cook for 2 additional minutes. 9. 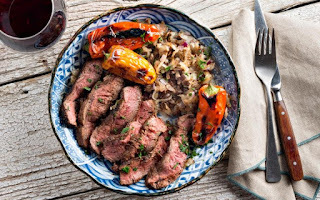 Move steak to a cooler section of the grill and continue to cook until desired doneness. 10. Serve each steak with a slice of the lemon butter. Have a great weekend and for those of you in the States have a great Memorial Day. I found this quite fascinating. 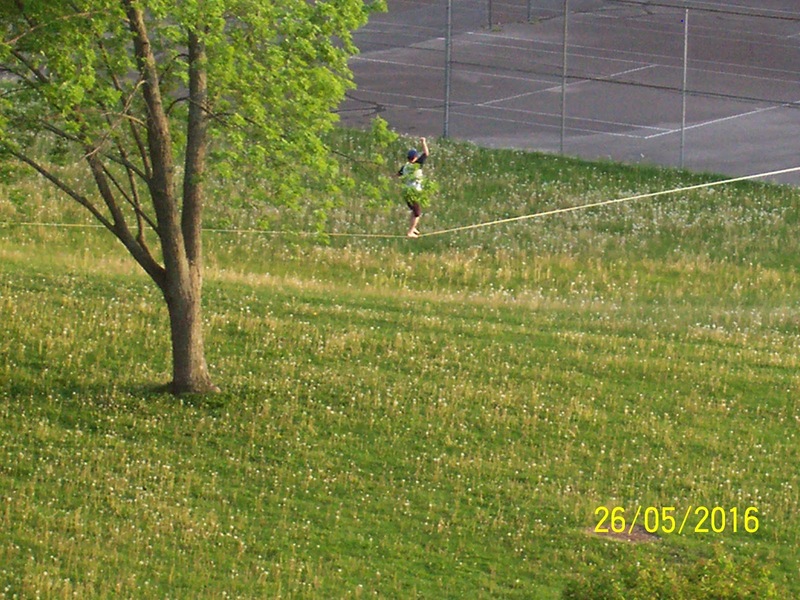 A young man, whom you can just about see in this picture, stretched a line, cable, something, between two trees. quite a distance I might say. He spent forever tightening it up. At one point he sat on the middle and it sagged to the ground so he went back to working on it. Later I looked out and there he was trying to walk the tightrope. I don't know how many times he tried, but he certainly fell off a few times. I could even hear him swear. By this time Jeopardy was on and I never miss that if I can help it. Then we tried another programme called 500 Questions which we didn't enjoy and eventually when I looked out again, he was rolling up the tightrope. I figured he really needed a balance bar. He was trying to do it with just his arms for balance. He managed to get a few feet, but I don't know what was the furthest distance he walked. All power to him for trying. Being Thursday we went bowling of course. Just before we went, the heavens opened and so the workmen disappeared. I was surprised they went completely but it did rain hard again a couple of hours or so later. 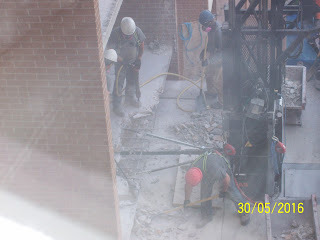 Pity I thought they would finish the first tier - they were working on the 8th floor. We have actually become somewhat used to the jackhammer. Surprise, surprise. I met one of the other tenants in the front parking lot and she was complaining about the noise, she doesn't even like on our side of the building. She said she had had to take a few aspirins. I haven't and it's right by us. She isn't my favourite person anyway. Matt arrived in the car to pick me up and she said "oh you have a husband, what's he like? Is he cute?" and insisted on being introduced. She told him she was single and in so many words kind of offered herself to him!!! Silly moo. Really. I wanted to gag. Bowling did not go well. For Matt and I, it didn't matter, but we were joined by another league member who was bowling ahead, and her scores weren't anything to write home about either. One of those days I guess. Was looking for something else in the way of a recipe and came across this one which I thought sounded good. I also found another with beef and asparagus in a stir fry. Never heard of shabu-shabu style beef but I am sure one can find a thinly sliced beef which will do the trick. 1. Combine marinade ingredients (soy sauce, sake, mirin, and sugar) in a medium bowl and stir until mixed. Add thinly sliced beef and marinate in the refrigerator for 15 minutes. 2. Meanwhile, trim bottom of asparagus, then slice asparagus spears vertically in half or quarters, depending on the thickness of the spear. Blanch asparagus in boiling water for 2 minutes. Remove from pot and rinse with cold water. Set aside. 3. Take 2 to 3 pieces of beef and gently spread it out on a plate or cutting board. Lay 2 or 3 asparagus pieces across one edge of the sliced beef. 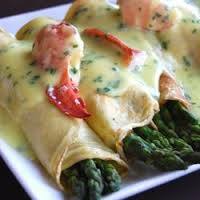 Gently roll-up the asparagus in the beef, tucking the end under the bottom of the roll. Repeat until all the beef and asparagus have been used to make several rolls. 4. In a large pan, heat canola oil over medium heat. Add beef and asparagus rolls to the pan and sear the beef until all sides are lightly and evenly browned. Add any remaining marinade into the pan and simmer the beef and asparagus rolls together for 1 to 2 minutes. 5. Slice each beef and asparagus roll into thirds or fourths, plate, then serve with Japanese hot mustard (karashi). The rolls can also be served as is, without any hot mustard. For this recipe, either shaved beef, shabu-shabu or sukiyaki style beef may be used. It is easier to work with the sukiyaki style beef, as it does not tear as easily as the shabu-shabu style beef when wrapping the meat and vegetable rolls. I prefer the thinner shabu-shabu cut of beef for a thinner and more delicate roll, however, for a slightly heartier version I recommend using sukiyaki style beef. I don't have a heck of a lot to write about today. The noise started early and they were close enough I took some video. Worked on Facebook but not sure it will work on here. As I had to do it through glass it isn't the clearest possible. I do hope you can see it but I am not sure you will be able to. If anyone does get it to play please let me know. Wednesday was league bowling and we had a full team. We none of us bowled very well until the last game, but we did manage to gain 4 points of the 7 available so we are no longer bottom of the heap but in 6th place. Hope we can get higher. I have been reading some of Jennifer Fallon's books which basically the library were having trouble getting hold of. The trilogy I was reading was not very new. In the end I decided to buy them on Kindle so took the books I did have back to the library. 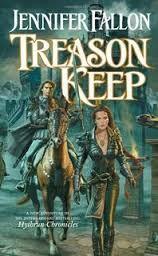 The books are known as the Hythrun Chronicles and are comprised of Medalon, Treason Keep and The Harshni. The previous trilogy which takes place before was actually written after which is why I was having difficulty getting these others. I am thoroughly enjoying them. This is the middle book of the trilogy and I am probably half way through it. I liked the sound of this recipe, but I have never been that fond of Ritz crackers so I might try some other brand. 2. 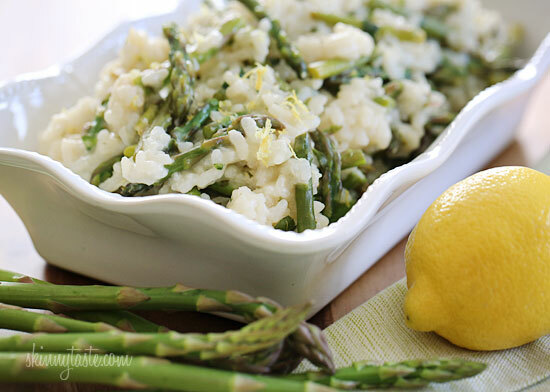 Cook asparagus in simmering water in large skillet 2 to 3 min. or until bright green, but still crisp; drain. Place in shallow baking dish. 3. Add dressing; toss to coat. Top with cheese and cracker crumbs. 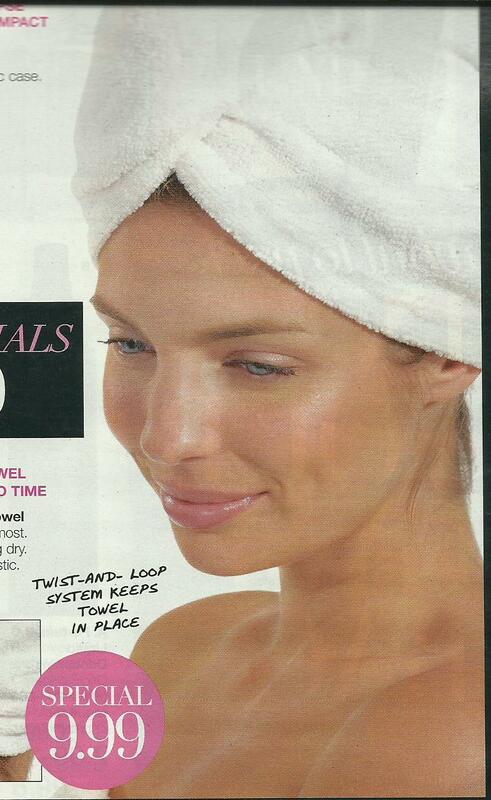 Do you wrap a towel round your hair after you wash it? I always have done so and tucked the ends in the back. Last few years it doesn't seem to work properly and I find the towel unwrapping whilst I am drying the rest of me. As I sell Avon, I have often seen an ad for a Terry Twist Towel so a week ago, I decided to try it. It's marvellous. You just pop it on your head, twist it and tie it down. It really picks up the moisture as well as being convenient. I cannot recommend it highly enough so if you have an Avon rep, you should look into it. So eeeeesy. I hope whoever came up with the idea makes a fortune. It's one of those things where you say to yourself "why didn't I think of that?". It doesn't come with instructions so it took me a bit to figure out how to use it. Once I had done so, I was so very pleased with the towel. It dries quickly and you can throw it in the washer when necessary too. Now I am no longer in danger of losing my hair towel into the loo. Yes, I nearly did so one time. ay have to find something else to do or somewhere else to go. I have ordered a couple of meals from Chef's Plate to be delivered the first week of June. It is basically the same as Blue Apron which was highly recommended to me by Denise of My Life in Retirement.. I thought Blue Apron was here in Canada too but it seems not to be. 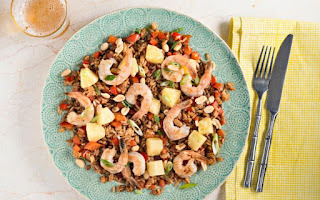 I have selected the two meals a week option and have chosen Espresso Rubbed Steak and Shrimp and Pineapple Fried Rice. The idea is they send you all the ingredients in a refrigerated box and you have to assemble and cook everything. The first trial is 50% off. However, normally it will cost a bit over $50 a week. I am not quire sure if that is something we can afford on top of our regular groceries. 1. Beat eggs lightly with water, salt and chipotles. 2. Heat oil in a 10 inch nonstick skillet and add eggs. When eggs start to set, swish them around so that the unset top rotates to the bottom. 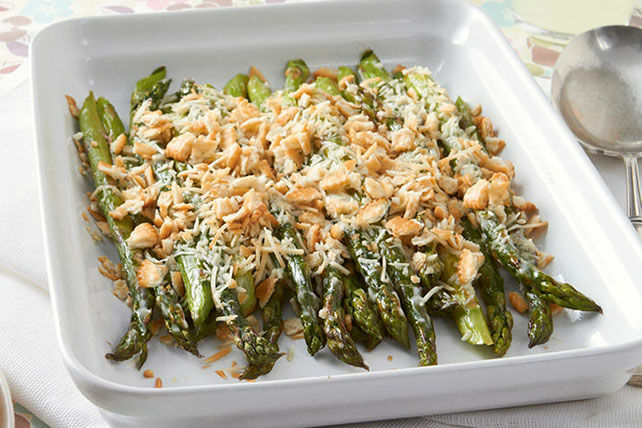 Sprinkle with chives, cheese and asparagus. Cook a minute longer, just until cheese starts to melt. 3. Meanwhile, warm and soften torilla in a skillet (about 1 minute) or microwave about 10 seconds, or wrap in foil and heat in a 300°F oven for 10 minutes. 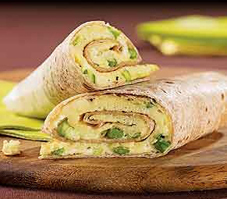 Slide the omelette onto the tortilla and roll up. Cut in half on the diagonal for a sandwich or in slices for appetizers. I am really, really tired of people, particularly on the air, who um and ah constantly or use "you know" to death or maybe "like". A lot of the ums and ahs are because they haven't arranged their thoughts clearly before they started to speak. Most of these people have no conception of their bad speech habits, but to inflict it over the air waves is a crime, in my opinion. There are very few young people around who can hold a conversation without using the word "like" constantly. I once asked a friend's daughter to try and speak without using it. She was unable to converse at all. Then, of course there are all the grammatical errors around. There are constant reminders on Facebook by "The Grammar Police" but it doesn't seem to improve anything. I have no objection to contractions, but when people say such things as "could of" when they mean "could have" I begin to steam. I am even seeing this kind of thing in prose a lot too. What is happening to the English Language? Doesn't anyone teach it properly any more? What happened to all the editors and proof readers who should catch this kind of thing? Doesn't anyone care? I am not even including swearing. apparently holding the record for the most viewed clip on Facebook. They have even had the woman on TV, Good Morning America interviewed her this morning (Monday). Personally, I think it is a dreadful video and don't find anything remotely funny about it. The raucous laughter reminds me of fair grounds of old. However, that's just me. Thousands appear to find it hilarious. 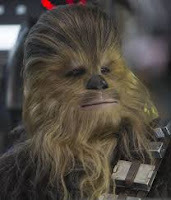 I was thinking maybe I should include it; I decided not to do so but to at least to show a picture of Chewbacca. I wouldn't want to inflict the video on anyone. If you really want to listen to it, I have no doubt one can find it on YouTube. 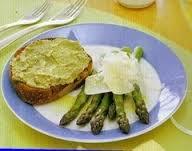 This is one of my very favourite asparagus recipes. Not only is it delicious, but it freezes well. 2. With motor running, gradually add olive oil, then add cheese and pepper. Blend together and check seasoning. Place in a covered bowl. 4. We freeze this in ice cube trays, then wrap the cubes in pairs (separated by Saran wrap, and put in a bag in the freezer until we need them. I think spring has finally sprung. The sunlight was more visible than it appears in the picture. Today is a holiday here. Victoria Day or often called May 24th weekend although it doesn't always fall on the 24th. On Saturday morning we received a notice saying the workers were going to start on the balconies (about time) on Tuesday and we should stay off the balconies and keep our windows closed during their working hours. That could prove to be a bit of a pain and might necessitate using air conditioners when not really necessary if it gets warm and apartments do tend to warm up faster than a house would. I suppose the reasoning is the dust so then I wonder will the air conditioner bring in the dust anyway. Never ending problem it seems. We have had a quiet weekend, holidays don't mean a lot when you are retired I'm afraid. On Sunday our cleaners came to pick up my treadmill which, encouraged by Matt, I had given them. Bit of a monster but they got it out of the apartment without too much problem. 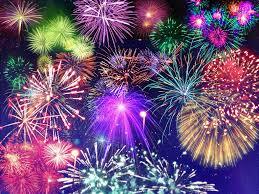 As I am typing this, by the way, it is Sunday night and the fireworks have been going on for some time. I think they held the official ones in the parks However we have heard fireworks on both Friday and Saturday and will probably hear more tomorrow. I have said before, I feel so very sorry for the animals, both wild and domesticated. I have jumped a couple of times myself because bangers have been let off close to us.When I was younger I used to enjoy fireworks with unfettered pleasure, but nowadays I no longer feel that way. I do agree, they can be beautiful to watch but our pleasure means fear for many animals and birds. I have never tried this recipe, not sure if I can get sole round here anywhere, but I have never seen it. I imagine flounder would do just as well. 1. 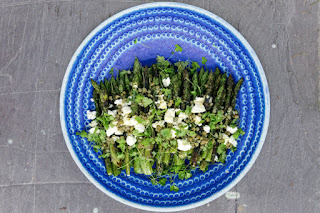 Cut asparagus into 3 inch lengths. Cook in 2-quart saucepan in lightly salted water for 5 minutes, drain. Set aside. 2. Season the skin side of the sole fillets with salt and lemon or lime peel. 3. Place asparagus spears at one end of each fillet. 4. 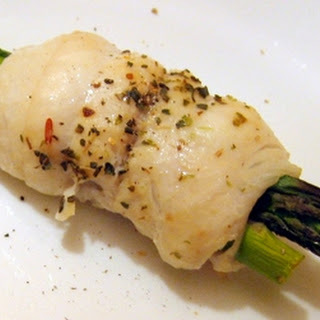 Roll up fillets with asparagus spears inside and secure with plain round toothpicks. 5. Place in a 2-quart oven-save casserole dish liberally sprayed with non-stick cooking spray. 6. In a small bowl combine remaining ingredients and pour over fish. 7. Bake in a 400 degree oven for approximately 15 to 20 minutes or until fish flakes easily. 8. Baste fish every 7 minutes. Fill a medium-size pot with cold water, and place it over high heat. When the water boils, add the asparagus, and blanch for 1 minute. Drain the asparagus, and rinse it immediately under cold water. 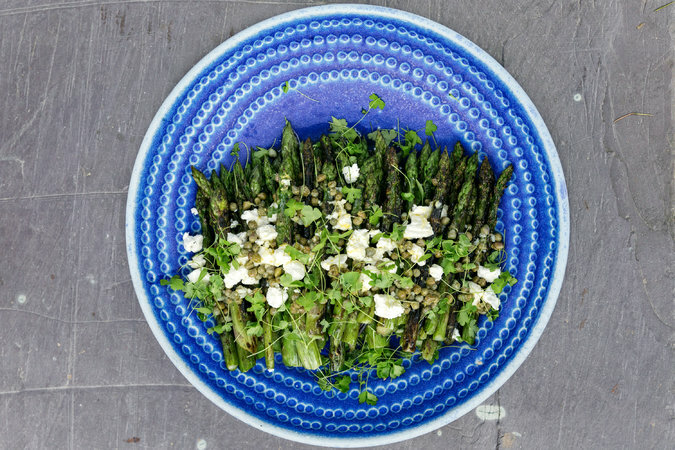 Drain the asparagus again and place in a medium bowl, with 1 tablespoon of the oil, a pinch of salt and a generous grind of black pepper. Mix gently, and set aside. Light a charcoal or gas grill, or place a grill pan on the stove over high heat. 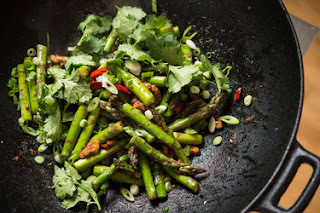 Once it is hot, add the asparagus in batches, and grill for approximately 2 to 3 minutes, turning a few times, until the spears are lightly charred. Transfer to a large platter with all the tips facing in one direction. Meanwhile, make the salsa. Mix together the capers with the remaining tablespoon of oil, the lemon zest, lemon juice, garlic and parsley. Add the goat cheese to the mixture, stir gently and spoon over the asparagus. Thursday's update on the construction bunch. It seems they are now building a platform of wooden planks which will be between the moving platform and the balcony so they can stand closer I guess. I wonder when they will actually start on the balconies? They have also been working on setting up the other end's movable platform. I am wondering when they will do the apartments in the middle. As yet, not a thing has been done to any of the balconies. It would appear most of the time they are going to spend on this building will be setting up. I appreciate they have to make all safe of course, they have attached the tower to the balconies with struts screwed into the floor/ceiling of every other balcony as well as another strut leading on to the roof. Actually, I have been enjoying watching all this in dribs and drabs. This afternoon we have another Stand Up to Falls seminar after our exercise classes. I am hoping this time we will be able to hear what is being said. Talking of which, I was distressed to hear one of our bowlers, she is 90 this year, had a fall and is in hospital. I hope she will be alright. The statistics for the injuries to older people from falling are quite terrifying. Costs something in the region of $3 million in medical bills too they say. We went for our usual bowling yesterday. Much to my surprise I still continue to bowl well although I was somewhat teed off to find out that our team didn't score one single point yesterday. Hopefully this will change once our whole team is there and we have our handicaps. I must say, bowling is so much more fun if you are getting reasonable scores. Not that I dislike pizza, but it is not something we eat very often. Mostly I find there are too many ingredients on pizza in this part of the world. I remember pizza's in Italy which were not nearly so overloaded. They probably are today, but they used not to be. 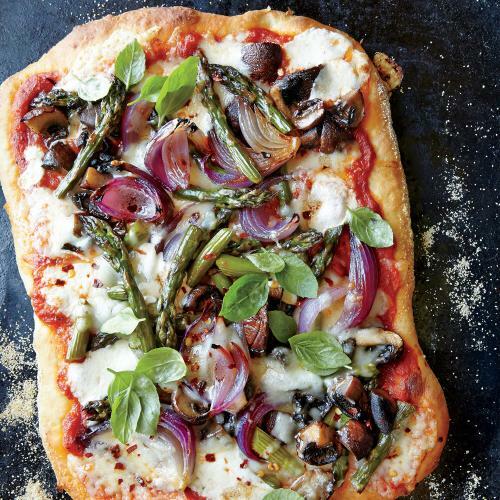 That being said, here is an asparagus pizza for those of you who do indulge. 1. Divide dough in half. Let stand at room temperature, covered, for 30 minutes. 2. Place 2 heavy baking sheets in oven. Preheat oven to 500° (keep pans in oven as it preheats). 3. Combine mushrooms and onions on a jelly-roll pan; coat with cooking spray. Bake at 500° for 15 minutes. Add asparagus to pan; bake at 500° for 15 minutes. Remove from oven; cool. 4. Roll each piece of dough to a 15 x 9-inch rectangle on a lightly floured work surface. Carefully remove baking sheets from oven; sprinkle with cornmeal. Arrange dough on baking sheets; coat with cooking spray. Bake at 500° for 8 minutes. Spread 1/3 cup sauce over each crust, leaving a 1/2-inch border. Top evenly with vegetable mixture and cheeses. Bake at 500° for 5 minutes. Continue baking at 500° for 5 to 6 minutes, or follow freezing instructions. 5. Combine oil, vinegar, and pepper in a small bowl; drizzle over pizzas. Sprinkle with basil and salt. Cut each pizza into 8 pieces. 7. FREEZE: Cool partially baked pizza completely; wrap tightly in heavy-duty foil. Freeze up to 2 months. 8. REHEAT: Unwrap pizza; bake directly on oven rack at 450° for 20 minutes or until crust is browned and crisp. Top with oil mixture, basil, and salt. Today began our summer league at bowling. Unfortunately one of our team didn't turn up and when the people at the alley phoned him, turns out he thought it was Thursday. He will be there and raring to go next week. I had a good day for a change. I actually score pretty well bearing in mind it was a league day when it counted. Matt had reasonable scores. Our one other team member had two very good games and then had trouble climbing over the 100 on his third. That's the way it goes. A friend on another team got 223 in her first game and 127 in the third. Really no rhyme or reason for it. But that's the game. The younger owner of the alley was looking fit and brown after his trip to The Dominican Republic. He and his wife thoroughly enjoyed themselves although they didn't do much except sunbathe and swim. Maybe if they go again, which they hope to do, he will try hang gliding which he thought looked fun. I've been working out what I have to do for privacy once the construction people get round to our balcony. They now have one of their platforms right up to the 9th floor. I watched them clambering about between the platform and the balcony. 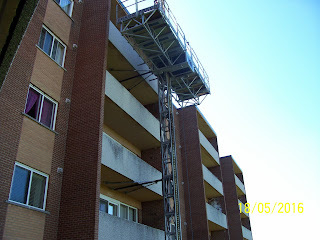 It's difficult to see in this blog pic but on the left is the position of the platform on the ninth floor. 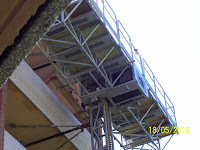 On the right you can just about see a man standing on a plank of wood between the balcony and the platform. I know they have harnesses on, but I wouldn't want to do it. I also discovered that the platforms beep as they are lowered. I thought it was the crane backing up, but it wasn't just that. I just cooked my rhubarb - after Wed. supper - but haven't eaten any. This time I remembered to add ginger. I love risotto and as you may have guessed, I love asparagus. What more could I want. 1. In a large saucepan, heat broth over medium-high heat. When it boils, reduce heat to a simmer and maintain over low heat, taste for salt and adjust as needed. 2. In a large heavy saucepan over medium heat, heat the oil and add the shallots; sauté 3-4 minute. 3. Add the rice; mix well so the rice is coated throughout and saute until the rice is slightly translucent, about 2-3 minutes. 4. Add the wine and stir until it is absorbed. 5. Add a ladleful of the simmering stock; stir and wait until it is absorbed before adding another ladleful stirring gently and almost constantly. 6. 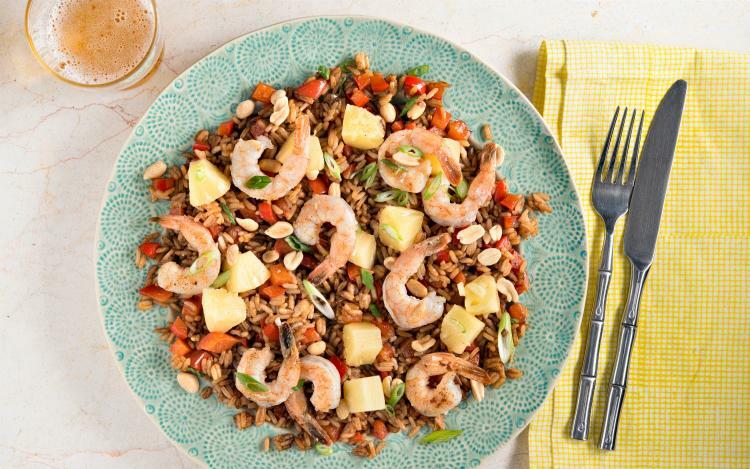 Continue this process until the rice is creamy, tender to the bite, but slightly firm in the center. Add the asparagus along with the last ladle of broth and continue cooking 5 minutes, total time should be about 25-30 minutes from the time you started. When all the liquid is absorbed, remove from heat and stir in the lemon juice, parsley and Parmigiano-Reggiano. 7. Serve immediately and top with fresh cracked pepper, lemon zest, and extra grated cheese if desired. 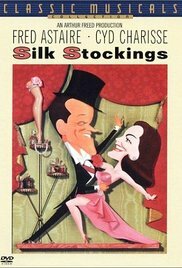 I caught the tail end of the movie Silk Stockings on TV the other day. It stars Fred Astaire and Cyd Charisse, two of my favourites plus there is a fabulous scene with Peter Lorre holding onto a chair and a table to do the Russian dance, in fact he does it twice. So I thought, I want that. Sadly it is not available on DVD, well it is at $61 which is too rich for my blood, so I have had to settle for the VCR version. It arrived on Tuesday. We watched and enjoyed (or I did, not sure about Matt) it that evening. I cannot see why a film which has been copied on to DVD should cost so much. Ridiculous. To escape the noise we went bowling on Tuesday afternoon. Matt did well. Wednesday the summer league starts, we are supposed to bowl again on Thursday and Friday I have exercises again. I might well be knackered by the weekend. As it is I took the lazy way out and bought a cooked chicken for Tuesday's supper. I still have to make a salad to go with it mind you. Talking of the construction they still seem to be setting up and have not yet done anything to any of the balconies. If it takes this long to set up every time, I can see why the whole building is going to take so long. This is a recipe we have enjoyed. 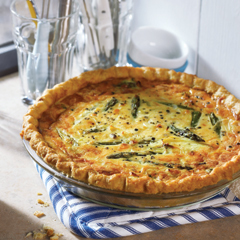 It is a type of quiche and pretty easy to make. 1. Preheat oven to 375°F (190°C). Partially thaw pie shell (about 10 minutes). Pierce pastry bottom with fork and bake 10 minutes. 2. In skillet, cook asparagus and leek in oil over medium heat until tender, about 5 minutes. Place on bottom of baked pie shell. Top evenly with cheese. 3. In small bowl, whisk together eggs, Hellmann's® Real Mayonnaise, mustard and seasonings. Gradually whisk in milk until smooth. Pour over cheese in pie shell and bake 35 minutes, on lower rack, or until set and lightly browned. What a short memory I have. Monday morning I heard voices outside and thought it was the tenant upstairs who uses his cell phone on his balcony and talks in a loud voice. Matt reminded me it was the construction workers once more. A couple of hours later, the alarm bells rang. We were warned that they were testing them today but I had forgotten that too. The bells will be rung frequently throughout the day and the construction workers will be there til about 5:30 using their crane which beeps when backed up. Not to mention all the other noises. Ain't life grand. One compensation just occurred to me, once they start working on our wing the cell phone guy won't be able to go out onto his balcony. Three cheers. Unfortunately we can't just disappear because I have exercise classes and the Stand Up to Falls seminar to attend. For two pins I'd say nuts to it and let's go bowling, but I really don't want to miss the seminars. Oops, having written the above, I went back into my computer room, in my nightdress and this is what I saw. Guess I will have to be careful from now on. It will be even worse when they are working on our wing. Our living, dining room wall is all window and looks out onto the balcony where they will be working. Unfortunately, our exercise class, followed by our Stand Up to Falls seminar was rather spoilt because they were drilling right outside the window. With the exercises, she could just do something and we could copy, but the poor young lady who was trying to talk to us about falls had to keep stopping whilst they made one heck of a noise. I even asked them if they could stop drilling for 20 minutes or so, but they wouldn't do so. With any luck, they shouldn't have to do any more drilling there on Friday. 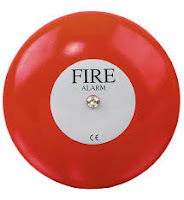 Our instructor was laughing at the end, drilling one moment, alarm bell the next. At least we won't have the alarm bells for another year. As we finished early decided to head out to the asparagus farm. I had $65 worth of orders for both asparagus and rhubarb and then I forgot one friend. I ended up dividing my asparagus with her. I was going to make more soup but don't have enough now. My fault, I goofed. The farmer served me and popped a bag of their Kettle chips in my rhubarb bag as a thanks. I wish he hadn't, I tried some later, they are delicious. Very moreish. I have had to hide them from myself. Balconies, Landlords, Bits and Pieces. Diamond, Foot Nurse, Bowling, Asparagus.